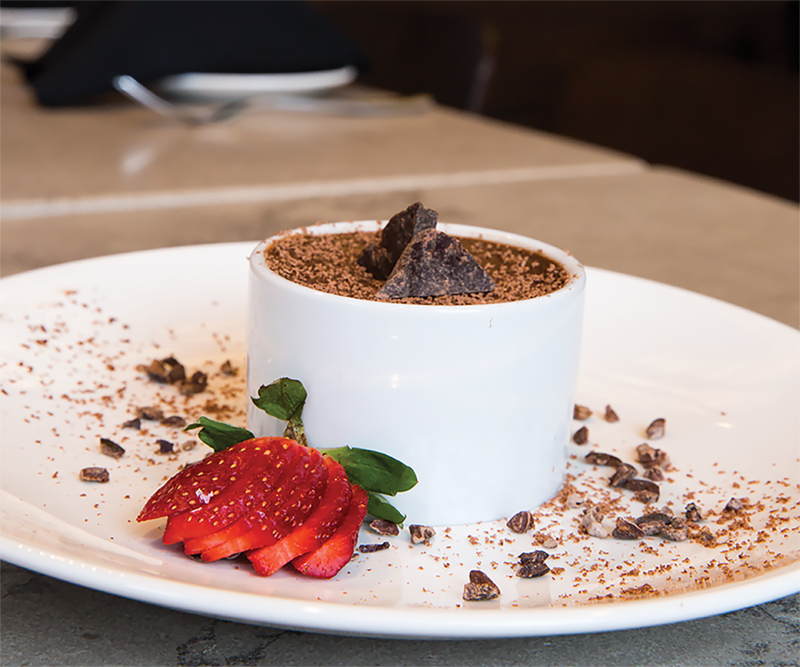 This French dessert utilizes Askinosie Chocolate and Espresso from The Coffee Ethic. Recipe by Zach White, Executive Chef at The Order. Serves 4. Best paired with Quinta do Crasto Late Bottle Vintage Port. Recipe by Zach White, Executive Chef at The Order. From our March 2016 Cooking Class. In large saucepan, add all ingredients except egg yolks and bring to just below a simmer, stirring regularly. Steep espresso and melt chocolate without simmering to avoid scorching. Once melted, strain mixture through a fine-mesh chinois and whisk into egg yolks, mixing slowly to avoid scrambling. Put 5- to 6-ounce ramekins in a cake pan and fill to ¼-inch below rim. Pour hot water in pan to create a water bath. Cover with foil and bake at 300°F for 45-55 minutes until firm. Refrigerate until set. Serve chilled.